A is for apple, B is for bagel, C is for cupcake, D is for doughnut, E is escarole, F is for funnel cake, and G is for…Good Egg in Kensington Market! You were afraid I was going to recite this through the entire alphabet weren’t you? 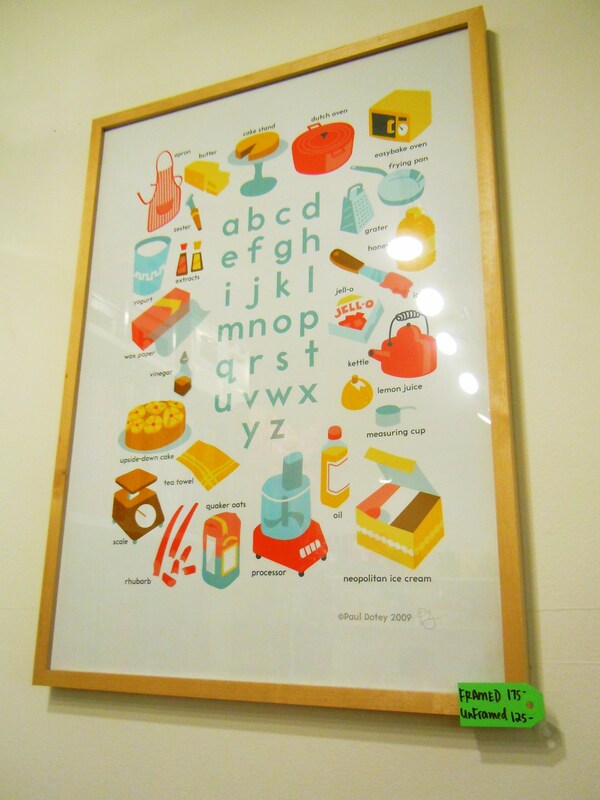 I had to do it considering one of my favourite items in this fantastic foodie, kitchen accessory store is a framed poster of an adorable alphabet of food and cooking items that I very much want to hang on my own wall at home! I fell in love with Good Egg the second I walked up to the storefront and peered in through the giant glass window display. 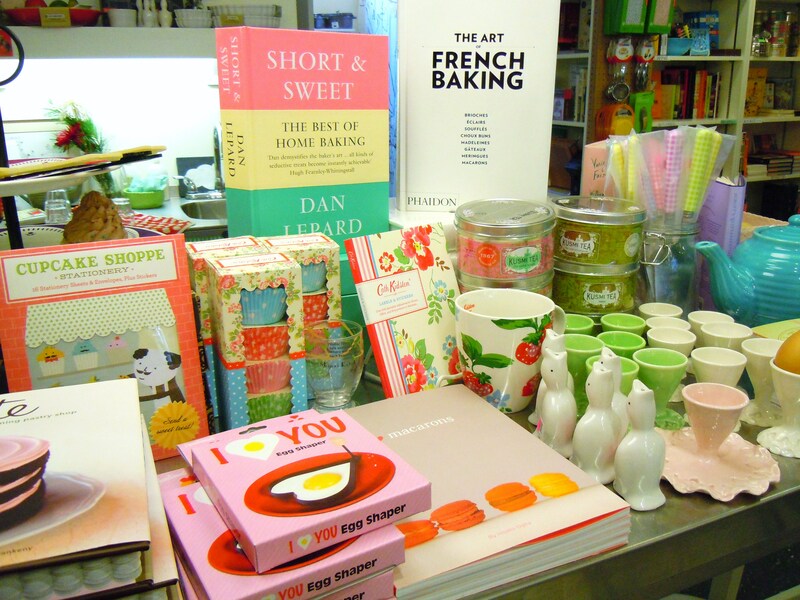 I saw baking books, cute stationery, cookbooks, and bright coloured paper flower ornaments hanging from the ceiling and thought, “where have I been all this time? 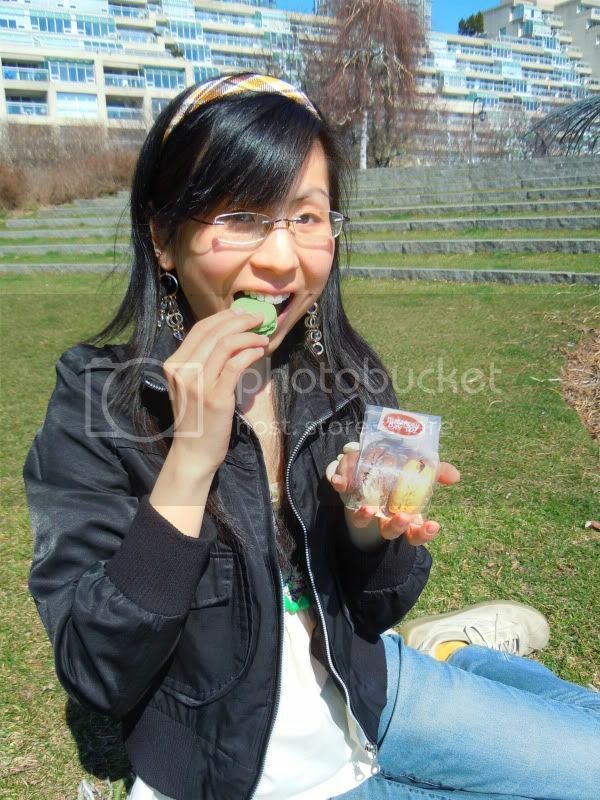 !” All this time I thought Blue Banana was my primary foodie haven in Kensington Market. I was wrong. Good Egg is so much more than I ever could have expected and I am so happy I decided to walk in on whim. 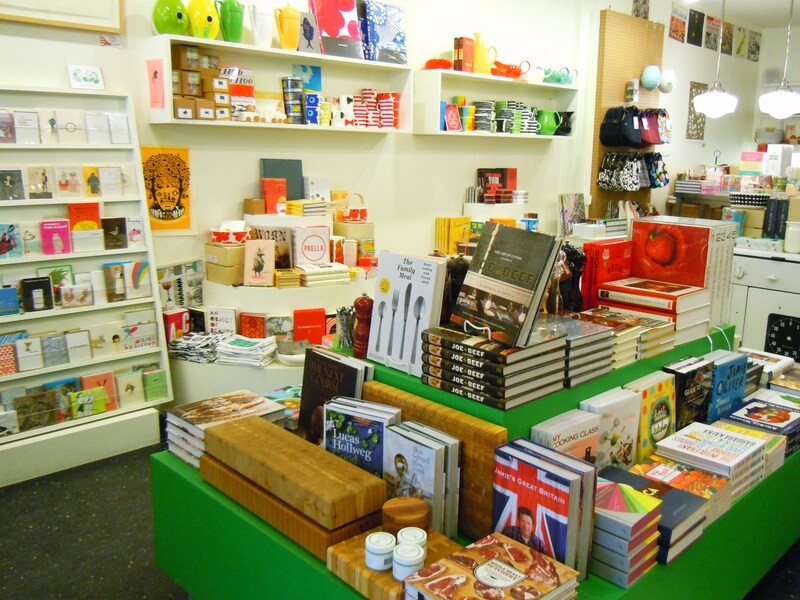 Good Egg is a wonderfully fun, whimsical shop devoted to food and cooking with everything you could possibly want in a foodie establishment, mixing the contemporary with retro and vintage, and function, practicality, and education with creativity and inspiration. Although their classes are currently on break until their kitchen renovations are completed later on this year, Good Egg host classes such a knife skills, butchering, and other cooking related workshops and demos. 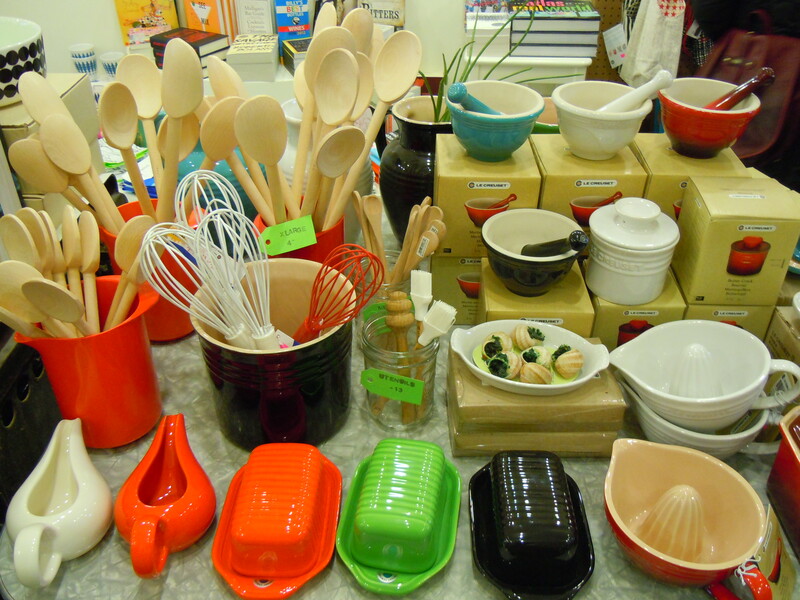 Their function and practicality stems from the cooking tools and accessories they sell. Don’t let the cutesy home decor items fool you; Good Egg is serious about spreading the love of food and cooking and making it less intimidating and more accessible by carrying colourful kitchen utensils such as spatulas, ladles, wooden spoons, mortar and pestles, and silicone whisks, salad bowls, and cutting boards; fun aprons and cloth linens; heavy duty baking dishes, roasting pans, butter dishes, and skillets; tea and tea accessories; and salt and pepper grinders among many other items. 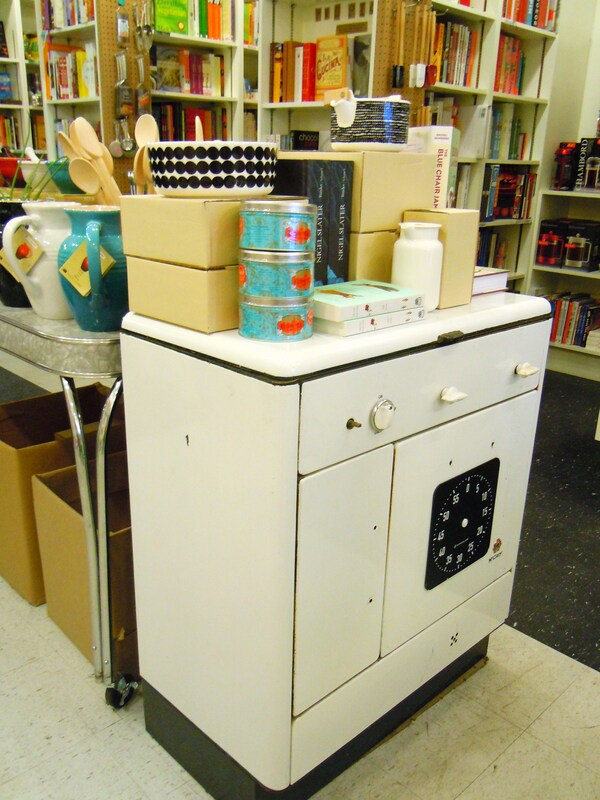 The fun and whimsical is clearly apparent from their home decor items and giftware, right down to the bow tie mugs, heart-shaped egg shapers, and patterned cupcake wrappers! I was head over heels in love with this too-cute-for-words baby fawn soap pump, bright coloured tea pots, gorgeous patterned napkins and tea towels (one of these days I will have my own linen closet filled to the brim with them! 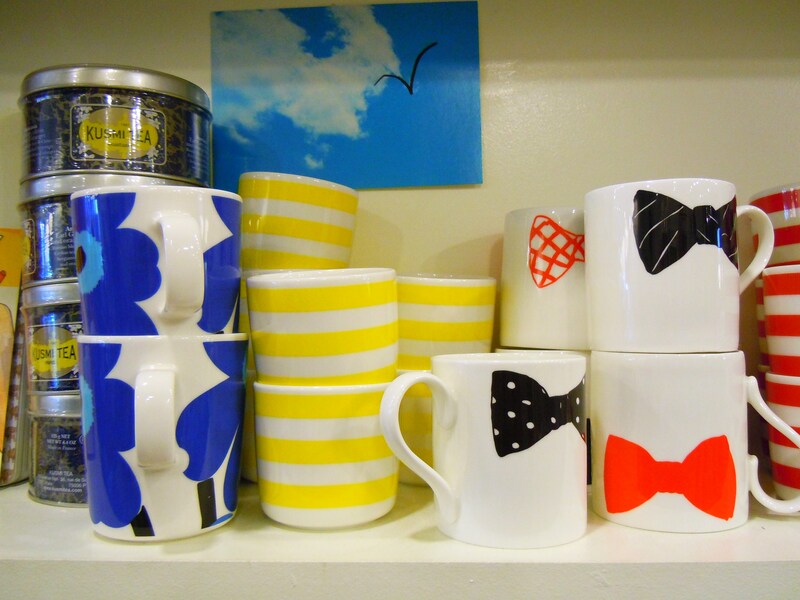 ), and the aforementioned mugs with the patterned bow ties and bold colourful stripes. 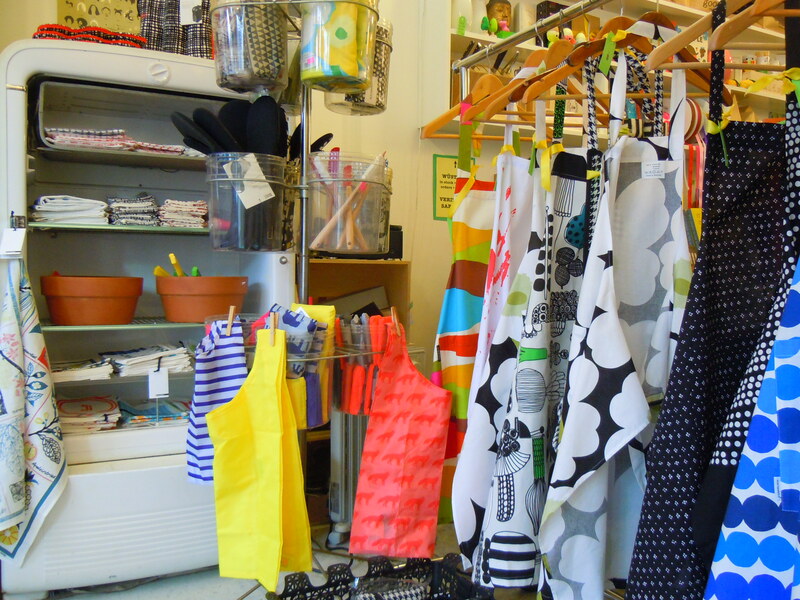 The shop is incredibly neat and organized, divided into different sections making everything easily accessible and simple to shop around and find. 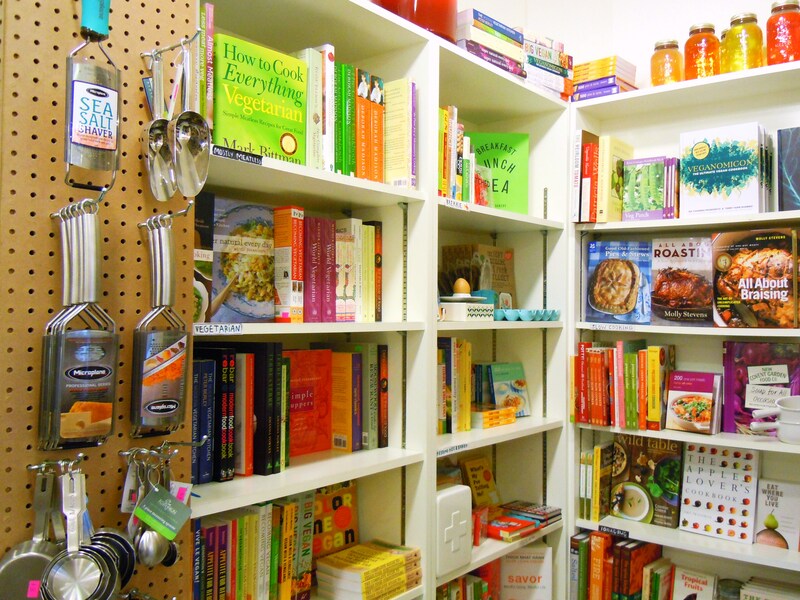 What really makes Good Egg stand out though is their food library! The book lover in me was in conniptions over this! Floor to ceiling shelves stuffed with cookbooks and coffee table food books occupy half the shop and within these shelves you’ll find gloriuous reading material dedicated to everything from food and herb planting znd gardening, veganism and vegetarian cuisine, baking, wine, butchering, wild foods and foraging, roasting, braising, food science, cultural cuisines, and plenty of Food Network celebrity cookbooks from chefs such Jamie Oliver, Gordon Ramsay, and Duff Goldman of Ace of Cakes. Their library of books is the heart and soul for me because it showcases the interrelationships and connections between the historical and the present, and the local and the global. 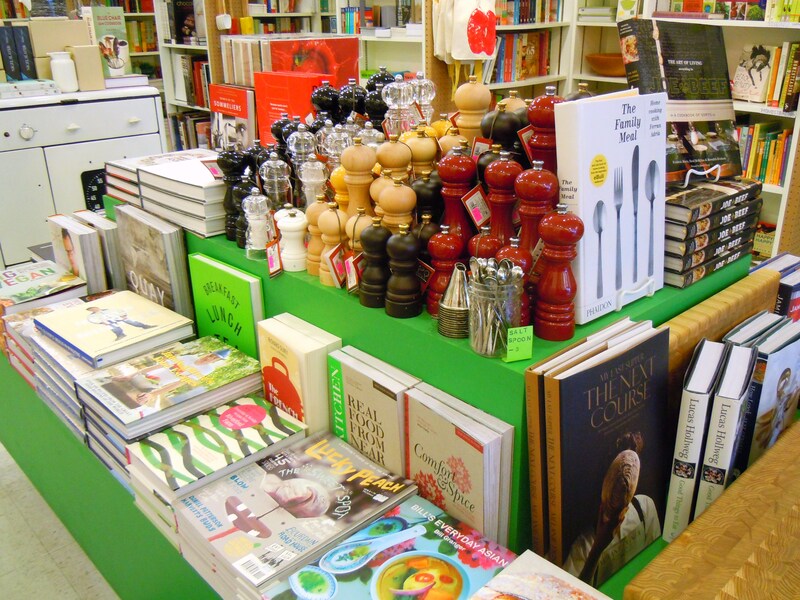 These books highlight social food movements, classic cooking techniques that have stood the test of time, molecular gastronomy, nature’s bounty, and the pure joy and love of cooking and food exploration. Its location within Kensington Market makes it all the more fitting because it lends itself to the neighbourhood’s unabashed organic personality. 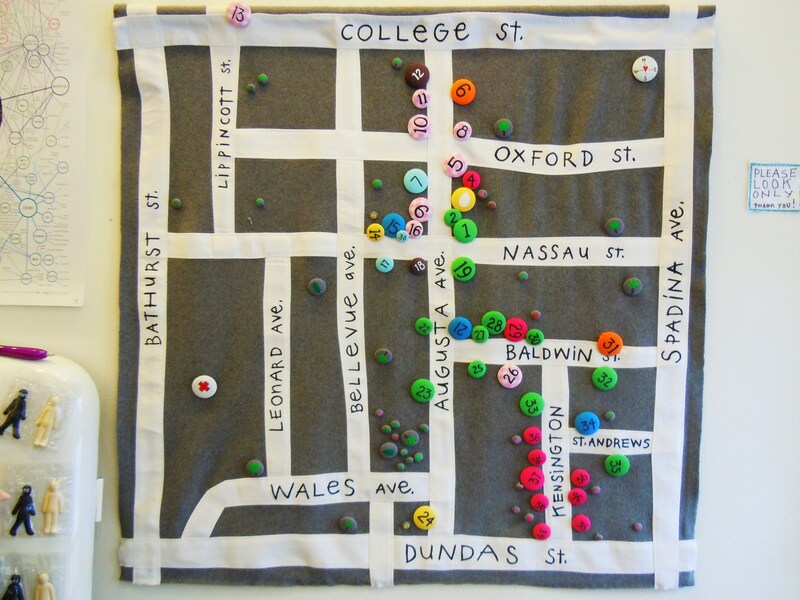 There are hundreds of reasons why I love Kensington Market and why it’s my favourite neighbourhood in the city. And I think I’ve found another hundred reasons to add to that list in Good Egg alone. 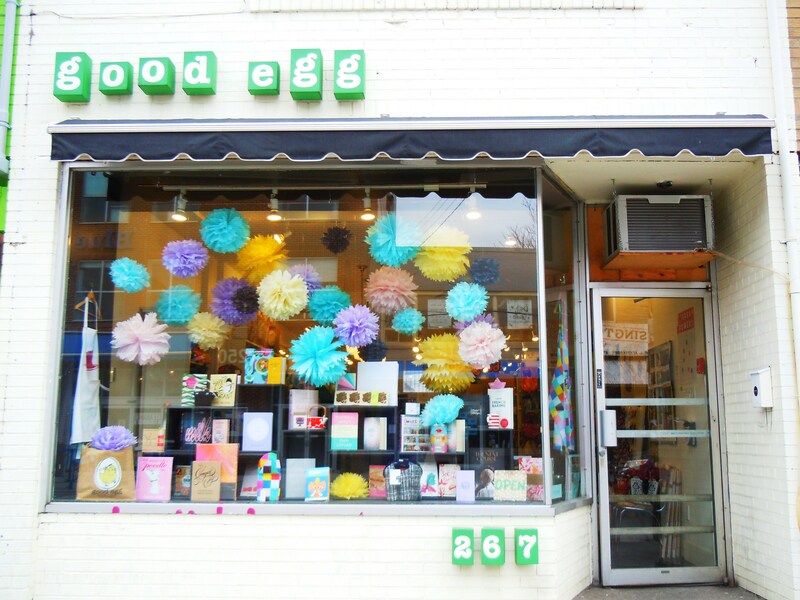 Good Egg is located at 267 Augusta Ave. in Kensington Market, south of College Street and west of Spadina Ave. You can keep up-to-date with their classes, events, and news on their website here or follow them on Twitter @goodeggnews.